Home > Patents > Can I patent an iPhone app or other mobile app? While the earliest mobile apps predate the original iPhone (I ran a particularly useful personal budgeting and accounting app on my beloved PalmPilot™ nearly 20 years ago), mobile apps have been an increasingly important area of technology development since the Apple App Store first opened in July 2008. The impressive computing power we now carry around in our pockets and purses continues to change the way we interact with the world around us by putting life-saving personal safety and telemedicine apps at our fingertips, enabling impressively complex and useful photo and video apps, connecting us through engaging social media apps, and beyond. 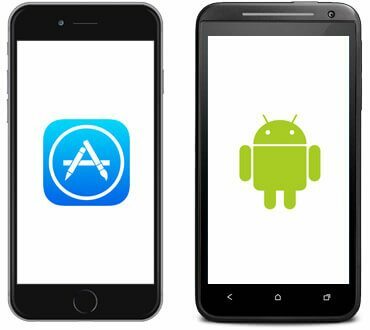 With their rise in commercial success, and the success of the App Store, Google Play, Samsung Apps, and the Windows Phone Store, mobile apps have increasingly been a hot topic for patent clients. From a patent perspective, mobile apps are no different from other software when it comes to patent eligibility and patentability, which means yes, apps can be patented. However, there are nuances to explore when looking at whether it makes sense to pursue a patent in a market in which a quick shelf life is the norm. The primary patent eligibility concern for software applications is whether the USPTO (and the courts) would consider the invention to be an “abstract idea.” In 2014, the US Supreme Court decided Alice Corp. v. CLS Bank International, the case about patenting abstract ideas that has established the key guidelines for determining patent eligibility for software. If the mobile app is not merely an abstract idea, it must then meet the next two criteria by being new and non-obvious. The novelty test is fairly straight-forward. In patent terms, novel means “new,” which means that there hasn’t previously been anything exactly like the invention. That means that any difference between your invention and what came before it can help establish novelty. However, if the aspects of the invention that make the mobile app new are not also non-obvious (see below), the app won’t be patentable. A second part of the novelty test is a determination of whether the patent was filed within a year of the first public disclosure of the invention by the inventor. In other words, if you want to pursue patent protection for your invention, you must have filed your application within one year of the first time you made any public disclosure of the invention. Timing is important. If you miss the one year deadline, you forfeit any right to patent the invention. If the mobile app is not an abstract idea and it is also novel, it must finally be non-obvious. An invention is patentably non-obvious when it is something more inventive than what would have been obvious to someone skilled in the relevant area of technology at the time the patent application is filed. A patent examiner can reject a patent application for being obvious if it is a combination of pre-existing inventions or is an obvious variation of one or more pre-existing inventions. For example, if part of the invention copies existing functionality of a first app and the remainder of the invention copies existing functionality of a second app. A patent application can be rejected for being obvious by combining any number of pre-existing inventions (we have seen patent applications rejected as being an obvious combination of six pre-existing patents and patent applications). Mobile Apps are patentable when they are: (1) directed to something more than an abstract idea; (2) include features or functions that are new; and (3) those new features or functions must not have been obvious to someone skilled in the relevant area of technology at the time the patent application was filed. RPL has been working with mobile developers for years in helping them patent their apps. A common strategy is to file a provisional utility patent application around the launch date of the mobile app and use the one year that the provisional application is “patent pending” to assess whether the market reaction is favorable enough to pursue a non-provisional patent application when the deadline comes. This strategy enables you to minimize your upfront investment in the patent process, while maintaining your rights to pursue patent protection for your mobile app while you explore the market. When working with mobile app developers, we are often able to prepare very well developed provisional patent applications. This is because app developers often have very solid documentation of the invention (wireframes, screen shots, requirements docs., etc.) that helps to support the preparation of the provisional patent application. This can make the strategy of starting with a provisional patent application even more attractive. The cost and process to patent a mobile application is discussed in the FAQ: How much does it cost to patent a mobile app? If you want to discuss pursuing patent protection for your mobile app, please contact us to set up a time to move forward.